Can 당신 write the lyrics to "we'll be there? 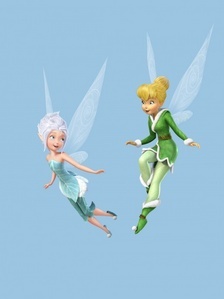 a comment was made to the poll: How do 당신 think about Tink, Boble and Clank crossed the border after Tink was born (to show her the winter wood) despite of the "crossing forbidden" rule? a comment was made to the poll: Which poster do 당신 like best? a poll 추가되었습니다: Who do 당신 like better? Selena Gomez and Tiffany Thorton sing! Jennifer Stone sings in Tinkerbell!! !